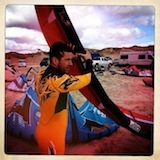 Bay Area Kiteboarding • View topic - Any chance the Kelly's cove sensor gets fixed after a week? Any chance the Kelly's cove sensor gets fixed after a week? I like the actual webcam view right now.